This is what I wore when I went to help out Issa do some scarf modeling gig for a local Chinese tv station. I am neither Chinese nor do I have modeling experience by any means, unless you count probability modeling, but I agreed because she knows my terrible terrible secrets. 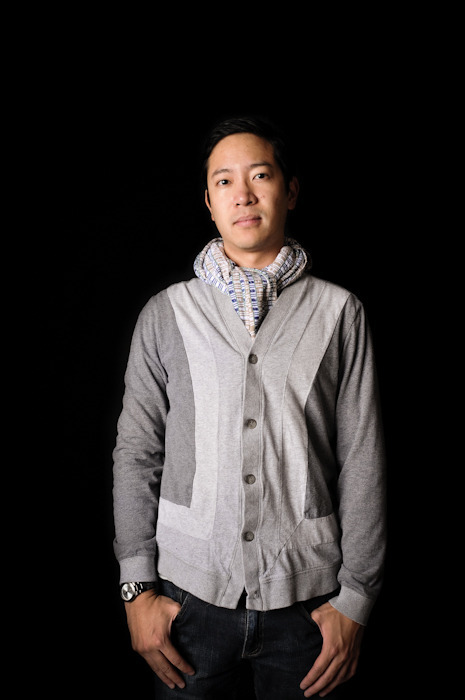 I actually don't own much of anything in that outfit- the cardigan is my friend Tu's (phi-style may or may not have purchased it for him) and the scarf that I'm modeling is from communitycloth, a nice non-profit organization Issa helps out from time to time. And the jeans are bdg, but the photo happened to come out like this so you don't even know if those are jorts or even japris. And truth be told, that's not even the final scarf they used for the shoot, but let me assure you, dear readers, that this outfit existed for the glorious 20 minute drive to the tv station that afternoon and I was able to pimp it out the entire car ride, before having to awkwardly gaze into a video camera as people spoke Cantonese around me. Oh yeah, and I know you guys were obsessed with that necklace body harness thing from like a year ago, so here's what a body harness scarf looks like. I know, I know, I'm ahead of my time in men's fashion, but Issa paid me for my hours of work in the form of a McDonald's hot 'n spicy McChicken, and let me tell you, that is one delicious currency. I agree with Wynn, your posts are always so entertaining! Love it! Belly laughs!!! ;) You are so cutting edge Dru!! 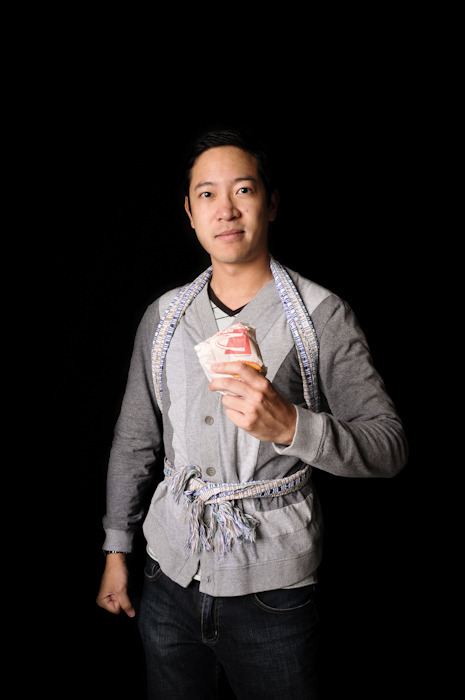 That scarf harness is badass... and I wouldn't mind some McChicken currency. yum.